Anyone from New England knows that it gets COLD around here in the winter time. Our studio is no exception! Here at our Lowell, MA home-base, the chilly months are upon us! Because we cut and polish stone, we need a pretty rugged work space. As a result, we are located in an industrial style workshop. It is a large space with areas for crafting our work, displaying our showroom, and even has a few carpeted offices for when we need to get things done on the computer. However, the space is also only lightly insulated and some days it feels colder inside than out! 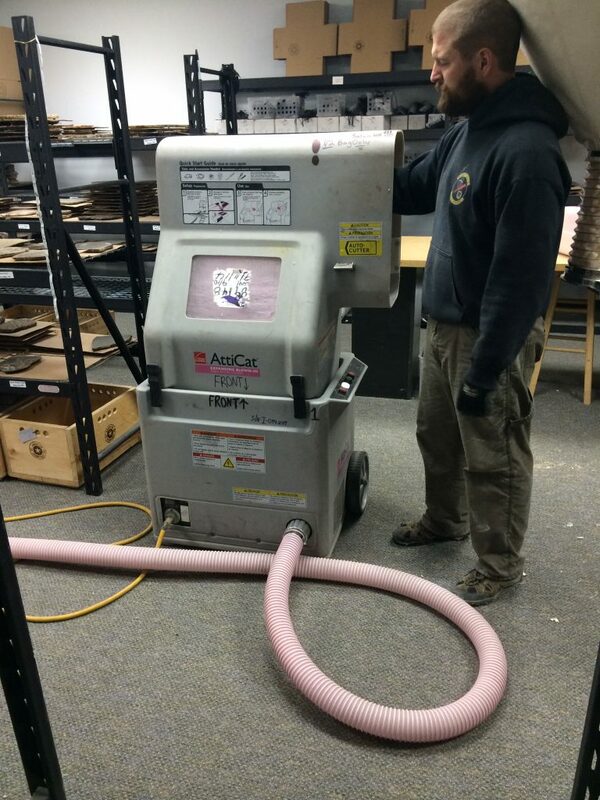 We know that even rugged craftsmen get cold, and decided to take matters into our own hands to warm up the studio! 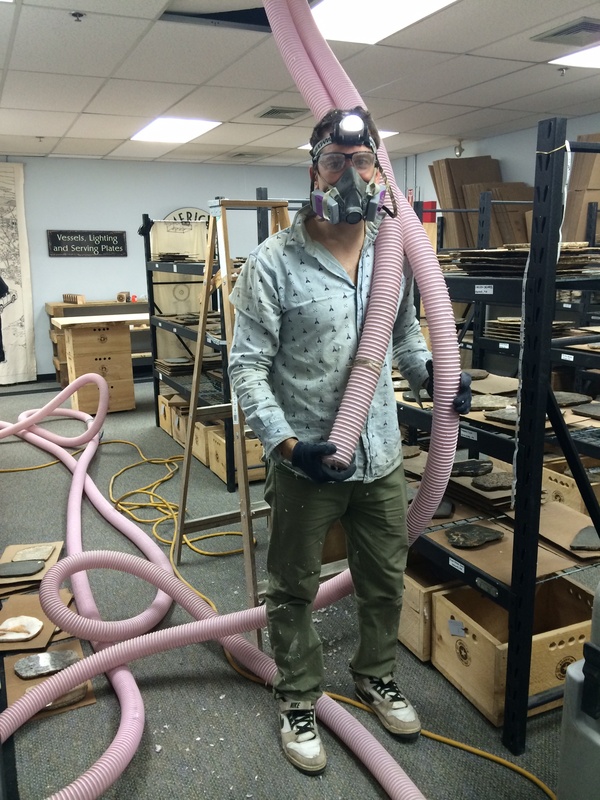 Gerald rented an insulating machine, bought bags of insulating material (that pink stuff that makes you VERY itchy after touching it) and got to work! 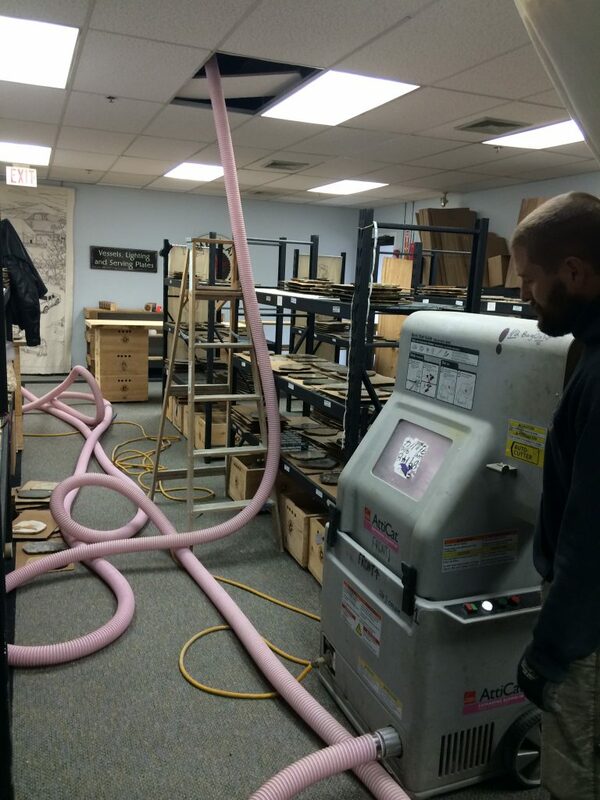 We worked together to boost him up into the rafters of the studio and sprayed the pink fluff through a giant hose! We had some learning-curves to adjust to and some techniques to pick up, but in the end we got the job done and the studio is all the warmer for it!